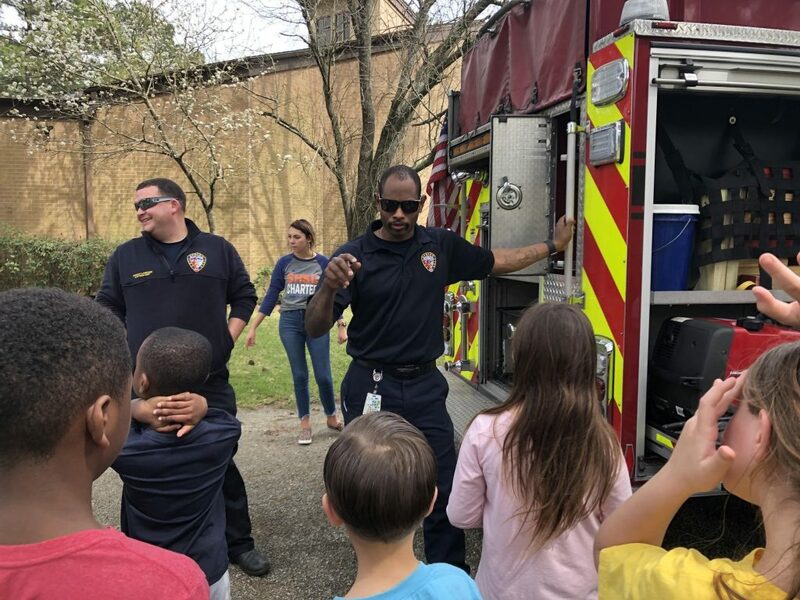 On March 8, Spring Fire Department firefighters from Station 74 taught students from SHSU Charter school in Cypress Trails what to expect, and what to do, in case of a fire. 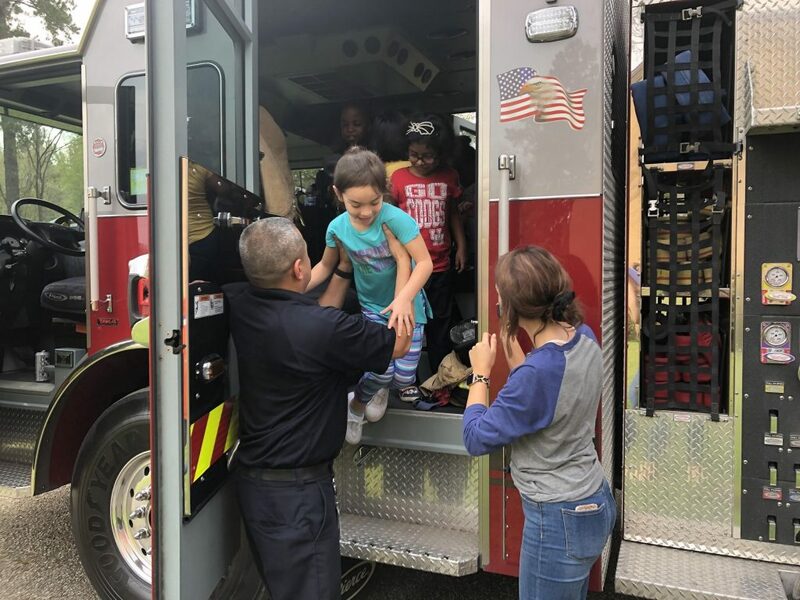 Firefighters Shawn Kohl, Nicholas Evans and Carlos Gonzalez, along with Captain Rocky Langone enthusiastically taught the students about EDITH (Exit Drills in the Home), as well as how to Stop, Drop and Roll. They then opened up their firetruck for the kids to tour. 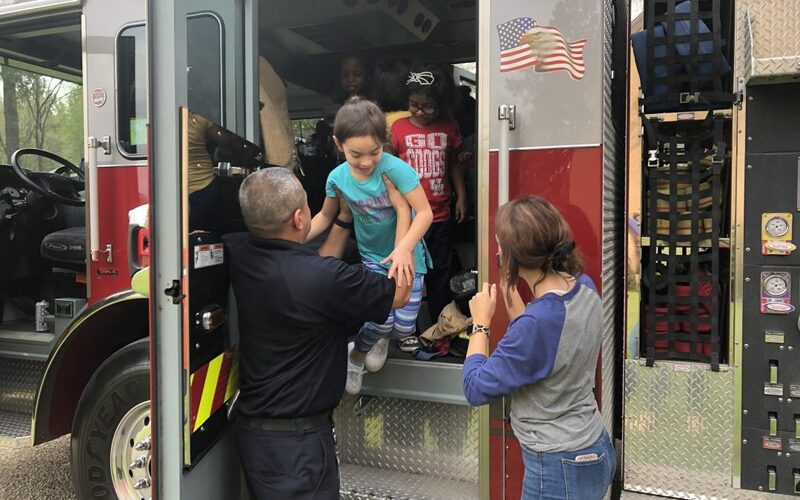 The kindergarten through second grade students could barely contain their excitement seeing all the tools that the firefighters use to put out fires and save lives. The students asked many important questions on what to do in an emergency and thanked the firefighters, as the crew received an emergency call.